Attempt on the President of Venezuela, Nicolas Maduro, could be organized by both internal and external forces, who do not like the independence of the country and the position of the head of state, says Anton Morozov, a member of the State Duma Committee for International Affairs. Earlier, Venezuelan Minister of Communications Jorge Rodriguez reported that several aircraft with explosives were sent to the podium on Bolivar Avenue, where he was during the Maduro parade. According to him, seven guards were injured, the president was not injured. Later, Maduro himself accused the opposition and the authorities of Colombia of attacking. 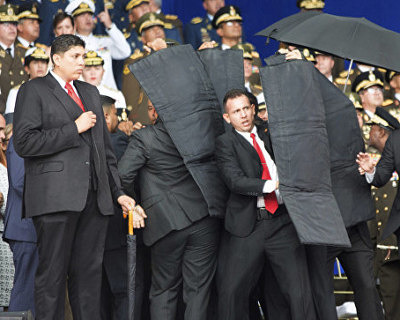 The Associated Press agency provided information to three representatives of the Venezuelan fire service, according to which an explosion of a gas cylinder in a nearby building was taken for an assassination attempt on the president. “Venezuela remains committed to independence, sovereignty and does not want to enter the orbit of US influence. Therefore, of course, there are certain forces inside and outside the country that do not like the position of President Maduro and the continued course of Hugo Chavez, “Morozov told RIA Novosti. The parliamentarian added that the attempt could have been planned and directed against Maduro by the criminal. “There are certain forces that are against. I do not exclude that someone from the criminal who is also against Maduro could plan this terrorist attack … I think that (maybe it is involved) is the crime that is inside the country, but which cooperates with anti-Moldovan political forces, “- noted deputy. The coordinator of the friendship group with Venezuela, the first deputy chairman of the SR faction in the State Duma, Mikhail Yemelyanov, also does not rule out interference from outside in what happened in Venezuela, including the United States, he told RIA Novosti.